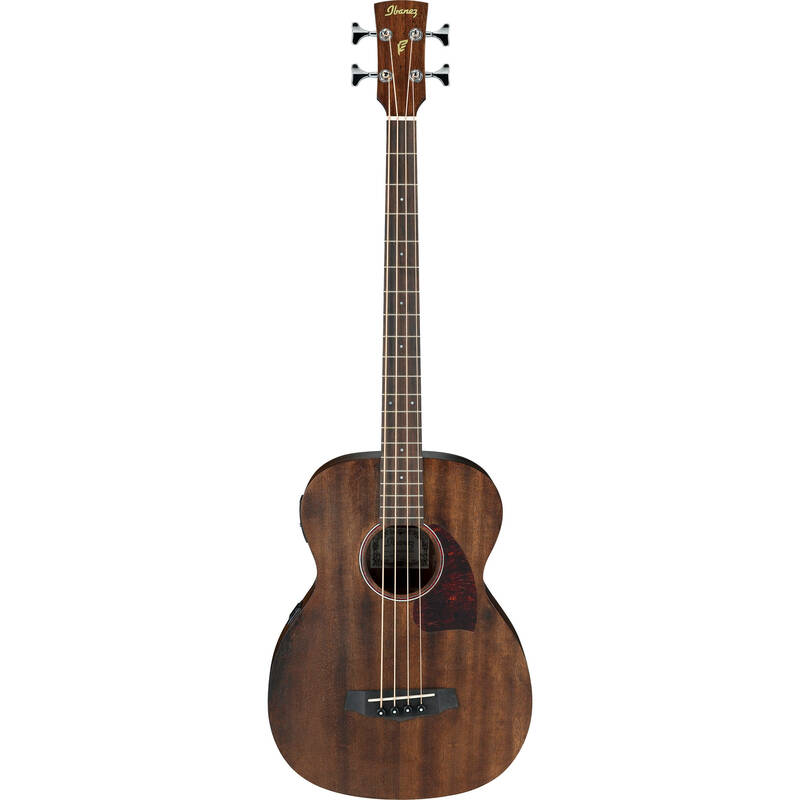 Styled in an open pore natural finish, the Ibanez PCBE12MH is an acoustic/electric bass with a grand concert body. It sports a mahogany top as well as mahogany back and sides. The instrument delivers a warm, well-balanced sound due to the mahogany construction. Unplugged or amplified, the instrument is well suited for solo performance or playing with a full band. A set-in maple neck offers a 32" scale and an 20-fret rosewood fingerboard. Other features a rosewood bridge, a tortoiseshell rosette, and chrome die-cast tuners. For electronics, the bass is equipped with an Ibanez undersaddle pickup, as well as an Ibanez AEQ-2T preamp with a 2-band EQ. A volume knob is on hand, as in an-board tuner. Plastic bridge pins secure the strings to the body.